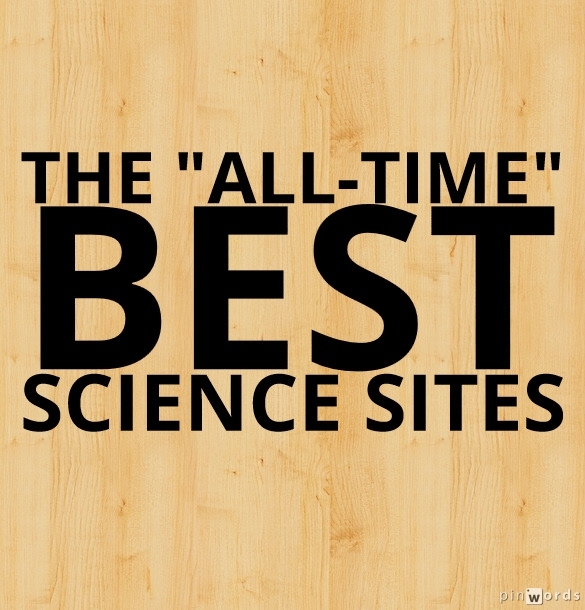 I’ve been posting annual lists of The Best Science Sites for a number of years. 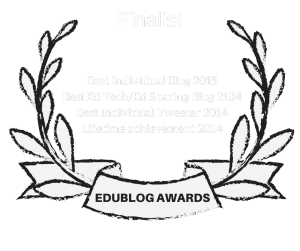 I’ve begun creating a number of these “All-Time” Best list, with The “All-Time” Best Ways To Create Online Content Easily & Quickly being the first ; The “All-Time” Best Web 2.0 Applications For Education second; The “All-Time” Best Videos For Educators third; The “All-Time” Best Online Learning Games was the fourth one; and The “All-Time” Best Social Studies Sides was fifth. The New York Times has begun producing one minute “Science Takes” videos on its website. You can see them all here. Big Facts On Climate Change, Agriculture and Food Security is an extremely impressive new interactive site on the effects of climate change. It shows its effect in a variety of ways on every region on the earth. 100,000 Stars is a new interactive from Google that is an amazing visualization of the universe. I liked “taking a tour,” which you can click on in the upper left hand corner. Science Friday, the popular NPR program, has an amazing amount of resources for teachers, and everybody else, online. Planet Quest: The Search For Another Earth is an “out of this world” site from NASA. If you were as amazed as I was by the original Scale Of The Universe, you have to check out Scale Of The Universe 2. This interactive shows you — literally — the scale of the universe. 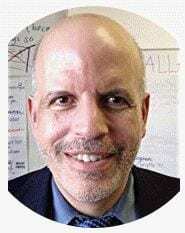 McDougal Littell’s Class Zone site is on many of my Social Studies related “The Best…” lists — their interactives are incredible (the links I have in this post may, or may not, bring you directly to the interactives. If you get sent to a map, just click the subject you’re interested in and click on California. That will lead you to different textbooks — then click on one of them. That will lead you to the interactives). However, I realize I’ve never written about their equally as impressive high school biology sites. It, too, has plenty of interactive, and most provide audio support for the text. The Exploratorium has reorganized all their interactives into one Explore page. The Association of the British Pharmaceutical Industry (ABPI) has a site with a number of excellent science interactives which provide audio support for the text. A Journey Through Climate History is a very, very impressive interactive from ABC in Australia. It highlights key events affecting climate change over the past one hundred ten years. Curiosity is a website — and a television series — from the Discovery Channel. People send in their questions — and there are some fascinating questions — and get accessible multimedia answers in return. You can also apply to become an expert to help answer questions, too. Universcale compares various microscopic entities. That description does not do justice to the site — you need to go there to check it out. It can be a bit confusing, and much of the language will not be accessible to English Language Learners. However, the images can be used effectively by teachers of all students. The Smithsonian’s National Museum of National History has a website from their Human Origins program called “What Does It Mean To Be Human?” It’s an amazing multimedia site on human evolution. The Smithsonian’s National Museum of Natural History sponsors its “Ocean Portal.” You can find just about anything about our oceans there, including slideshows, videos, interactive timelines, etc. NASA At Home & City is a terrific interactive where NASA shows the practical implications of how space travel has affected out lives. It’s very well done, and audio support is provided for the text. It’s quite accessible to English Language Learners. Planet Quest is a pretty amazing multimedia timeline of space exploration that begins at 500 B.C. In addition, it provides audio support for the text. Ology is from the American Museum of Natural History. It has numerous excellent activities on topics like biodiversity, archeology, and astronomy. Harcourt’s online activities to support its Science Up Close textbooks are available free online. These are great interactive activities on numerous topics. BBC Science Clips are numerous, and well-designed, virtual science experiments. Houghton Mifflin Science’s Discover! Simulations are extraordinary interactives covering many areas. It also has a good glossary with audio support. 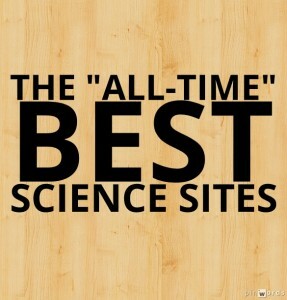 Learning Science has a great collection online science activities. FOSSweb is the online component of the exceptional curriculum created by the University of California. It has a series of science experiments students can explore online (click on “enter as a guest.” The activities are based on grade levels – from kindergarten to middle school. California Science from MacMillan/McGraw Hill has some great online activities. However, what makes this site stand-out (and my ESL/EFL bias is clear here) is that it contains translations in many languages (including Hmong!) of the science concepts taught in the textbooks. CK-12, which I’ve described in a previous post (see “CK-12” Has Free Resources In All Subjects & Individual Student Progress Can Be Easily Tracked). Open Educational Resources from UEN, which also has a separate page for online science interactives.